Do you know what I’ve discovered? Warrnambool is home to some hidden gems. My good friend and fellow photographer Laura of Laura Mahony Photography discovered this too, so we sat down together and planned out how we could bring these gems out of hiding and into the limelight. The result? A collaboration of talents, energy and, best of all, beauty. We had a few criteria that we wanted to match to our ideas. Those we worked with had to be talented, entrepreneurial, hard working and reliable. 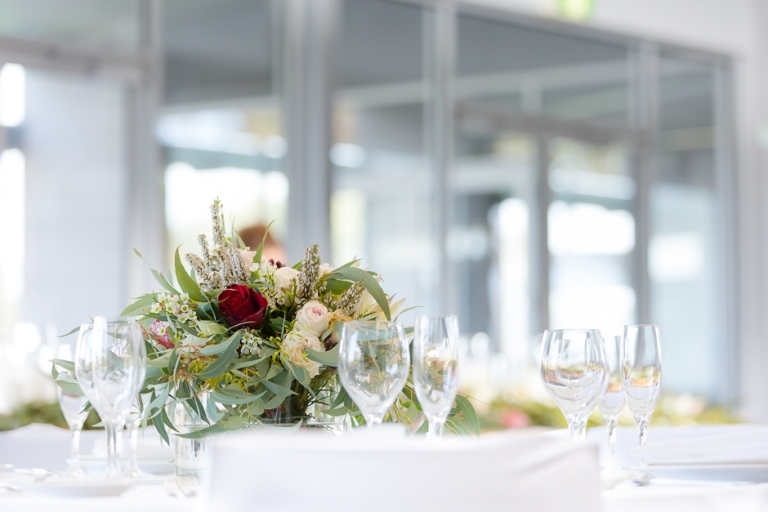 Our goal was to create beautiful work but to likewise bring attention to businesses who are just emerging on the wedding scene. These are the people who deserve to be recognised for the talent and skills they can each bring to a wedding. 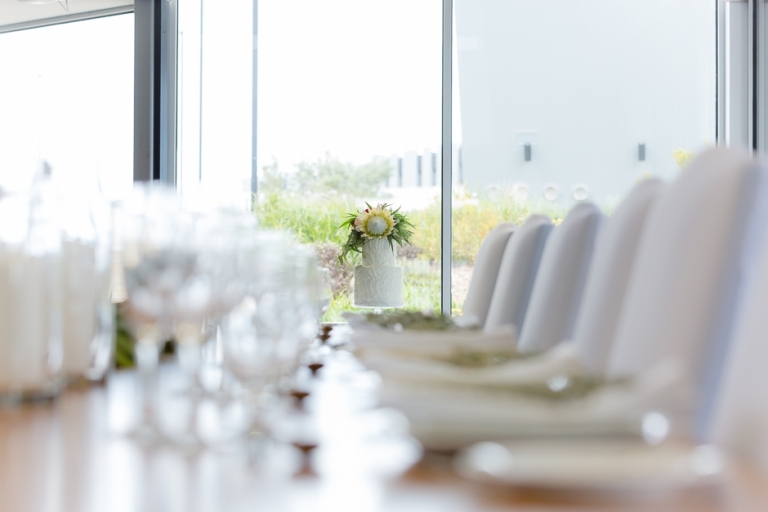 The florals in this styled editorial wedding in Warrnambool were designed and created by Lauren of Where Love Blooms. She complemented the beautiful surrounds of GingerKitchen with a mix of natives and other flowers. The model’s make up was crafted by Sarah of Makeup by Sarah and perfectly matched the natural colours and hues of the florals. To help pull the whole thing together through planning, styling, logistics and darn hard work, Laura and I called on Lizzy of Elizabeth Jean Weddings & Events, who worked magic on timelines, sourcing equipment and furniture and taking care of the mind-boggling logistics of getting everything to and from the venue. 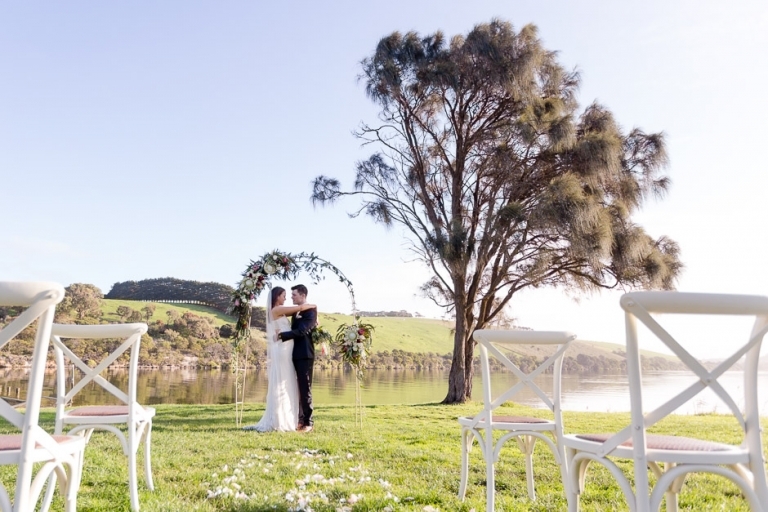 The bride’s gorgeous dresses were generously supplied by the amazing Melbourne based designer Cathleen Jia, while the groom’s suits were supplied by Warrnambool’s very own Pitstop Menswear. 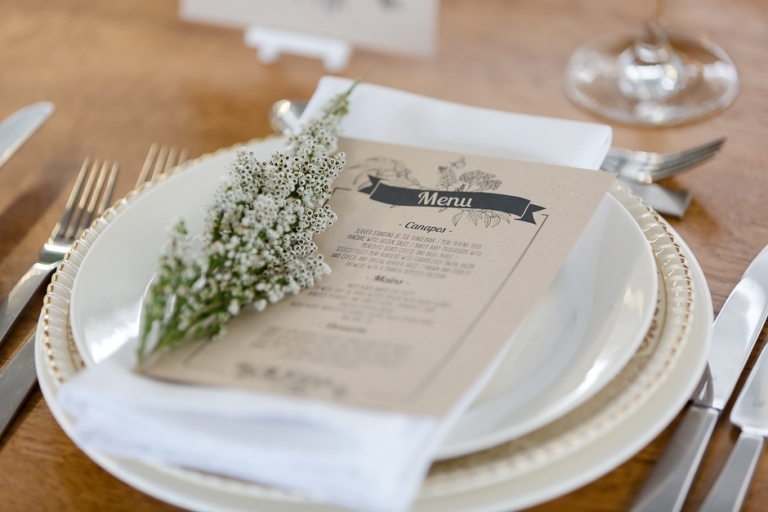 The invites, place cards and menus were designed to perfection and supplied by Melbourne’s Paperlust and added the finishing touches to the styling. And the two really ridiculously good looking models? They’re Jessica G and Mitch from Brazen Models. Yeow!